Find tickets here to this program — which also includes Brahms’s Variations on a Theme by Haydn and Schumann’s tumultuous Symphony No. 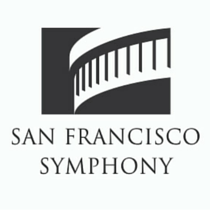 4 — Thursday, May 19 through Sunday, May 22 at Davies Symphony Hall. Susan Graham brings “Frauenliebe und -leben: Variations” — her recital program centered around Schumann’s song cycle Frauenliebe und -leben (A Woman’s Love and Life) — to the Northeastern and Midwestern United States this spring, touring with pianist Bradley Moore. A performance at Amherst College on April 24 is followed by a stop at New England Conservatory for the Celebrity Series of Boston on April 29. Susan then appears at the Gilmore in Kalamazoo, Michigan on May 2 under the auspices of the Gilmore International Keyboard Festival. The series concludes on May 26 at the Baldwin Wallace University Art Song Festival. “Frauenliebe und -leben: Variations” augments each song from Schumann’s cycle — which tells a story of love, marriage, and death — with related works by Grieg, Strauss, Fauré, Mahler, Ravel, Debussy, Tchaikovsky, Poulenc, and others, expanding thematically upon the iconic work. 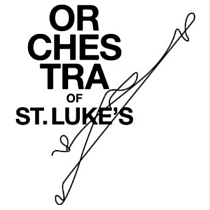 Susan Graham takes the stage in Carnegie Hall’s Stern Auditorium with Nicholas McGegan and the Orchestra of St. Luke’s on Thursday, April 7, highlighting two composers with a flair for the theatrical and with exceptional skill in setting the English language. She sings three works by Purcell: “Bess of Bedlam” from Silent Shades, “Music for a While” — originally composed as incidental music for Oedipus — and “Dido’s Lament” from Dido and Aeneas. Britten’s Phaedra follows, a modern take on the Baroque cantata tradition set to text from Robert Lowell’s translation of Racine’s Phèdre. The program is bookended by two late Haydn symphonies: Nos. 75 and 98. Find tickets and more information here. On Wednesday, April 6, Susan joins Nicholas McGegan and the orchestra at the DiMenna Center for Classical Music for a discussion and concert preview, free for ticketholders. 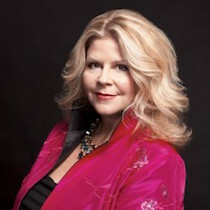 Susan Graham travels to European capitals and Puerto Rico March 11 though 30 with a recital program centered around Schumann’s iconic song cycle Frauenliebe und -leben (A Woman’s Love and Life), augmenting each song from the cycle — which tells a story of love, marriage, and death — with related works by Grieg, Strauss, Fauré, Mahler, Ravel, Debussy, Tchaikovsky, Poulenc, and others. At the Festival Pablo Casals in San Juan, Puerto Rico on March 11, Susan is accompanied by pianist Bradley Moore. 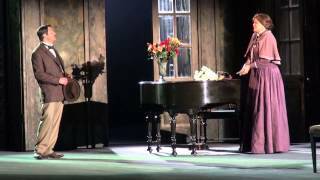 Thereafter, she joins long-time recital partner Malcolm Martineau to perform the “Frauenliebe und -leben: Variations” program at the Royal Conservatoire of Scotland on March 17, the Grand Théatre de Genève on March 20, and London’s Wigmore Hall on March 24, with a finale at the Wiener Konzerthaus on March 30. See Susan’s full tour schedule here.